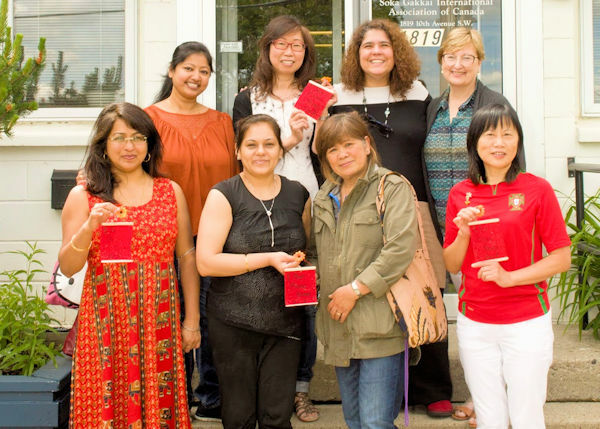 The name White Lily Group of Canada was given to those women who warmly greet all who come to the SGI Canada centres. 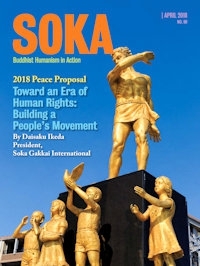 It is their great honour to take on the responsibility of representing SGI President Ikeda and Mrs. Ikeda when they welcome everyone who visits. 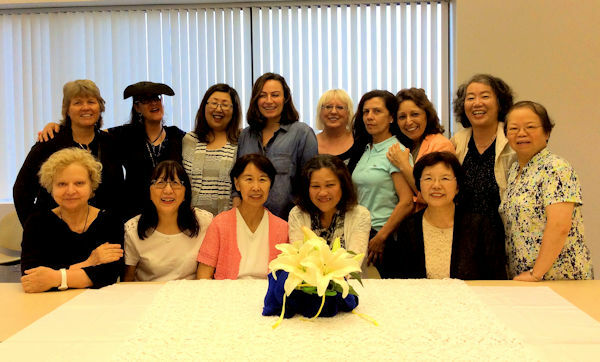 This June marked the 8th anniversary of the founding of the White Lily Group of Canada and they held various celebrations of their activity dedicated toward the SGI movement for world peace. On June 23, Sylvie Albert coordinated the celebration which was greeted with much excitement at the Montreal Culture Centre. On June 28, at the Toronto meeting everyone shared their benefits from participating in this activity. 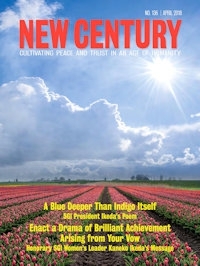 There were tears of overcoming suffering with great joy and appreciation to President Ikeda and Mrs. Ikeda. We were very happy that SGI Canada Women's Leader Helen Izumi-Choi was able to attend. She conveyed her mother's (pioneer leader Mrs. Izumi's) great appreciation to everyone for their behind-the-scenes effort to take care of the castle of kosen-rufu. Mrs. Izumi is doing well and is chanting every day for all of us. Chris Eddy and Sandy Chang reported from their meeting at the Calgary Community Center on June 30. They said that they met to refresh their united spirit as White Lily to be always relied upon to lend their bright energy and heart. Getting to know one another through the White Lily activity enables mutual encouragement to breakthrough any personal difficulties. This is one among the many reasons why White Lily members cherish their ability to volunteer.